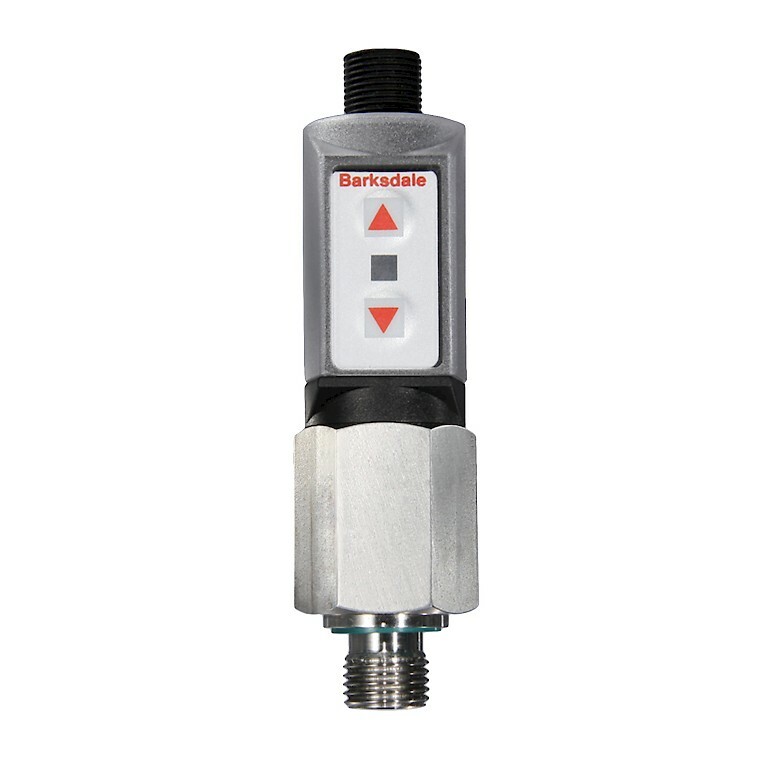 The series UDS1V2 electronic pressure switch from Barksdale is one of the first electronic switches priced within the range of mechanical switches. With no moving parts, it provides accuracy, long life and durability in a compact package with features and functions that mechanical switches cannot provide. The UDS1V2's list of impressive features includes an accuracy of +/- 1% of full scale, four pressure ranges from 0-150 to 0-9000 psi, a 320º rotatable housing and either two switch outputs or 1 switch output with adjustable hysteresis. The impressive "Teach and Go" feature allows for precise, quick and easy set point adjustment, even while installed on an application. Its small size makes it perfect for applications where space is an issue such as mobile hydraulics, hydraulic power units, machine tools, injection moulding and factory automation.